Sebaea thomasii is a relatively new plant to British alpine gardeners. It comes from Lesotho, South Africa or more correctly the Drakensberg mountains which take up a substantial part of the country. Sebaea, in many other forms grows in this area and shares the region with well known plants such as Helichrysum, Rhodohypoxis, Kniphofia, Glumicalyx etc. Sebaea is a member of the gentian family and it grows in moist peaty turf. 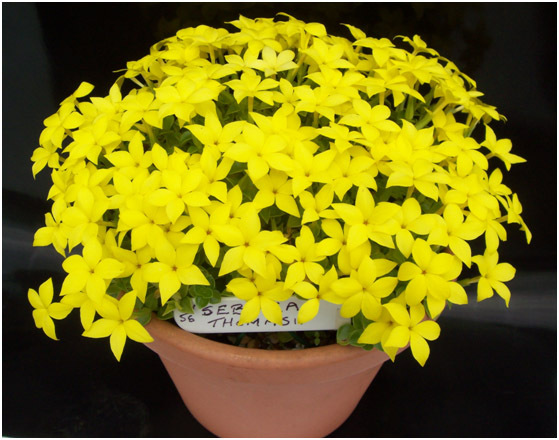 It has settled down well in British gardens and is a very pretty plant with its yellow scented flowers which can last in mid-spring for 3-4 weeks. I acquired my plant about 5 years ago from Aberconwy Nurseries and it was re-potted annually. I use 1part J.I. No.3, 1part grit, 1part bark fine, 1part coarse perlite. My plant now occupies a 26cm.pot and had well over 100 flowers last year. It received a Certificate of Merit in the Ulster show 2012/2013. A good tip for encouraging growth is to give the plant a “haircut” after flowering has finished. Most publications say that the plant is difficult to grow but I have grown it outside for the most of its life. 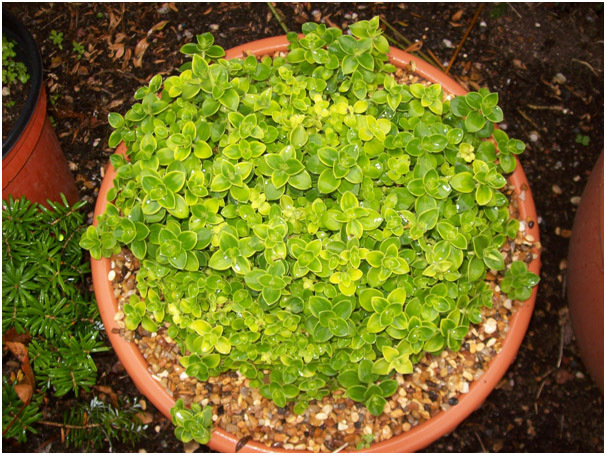 It enjoys good light at all times, plenty of water during the growing season and an occasional spray in dry weather. Sebaea thomasii is well worthwhile trying to grow.